In 2004, the US Defense Department' s Defense Advanced Research Projects Agency announced a competition with the aim of providing soldiers with the means of carrying out battle operations and relocating without food stores. Under the project "Metabolic Dominance" we offered genetically modified human ingestion system bacteria, which synthesize cellulose disintegrating enzymes. Cellulose is a simply sugar glucose polymer. It forms any plant cell walls. 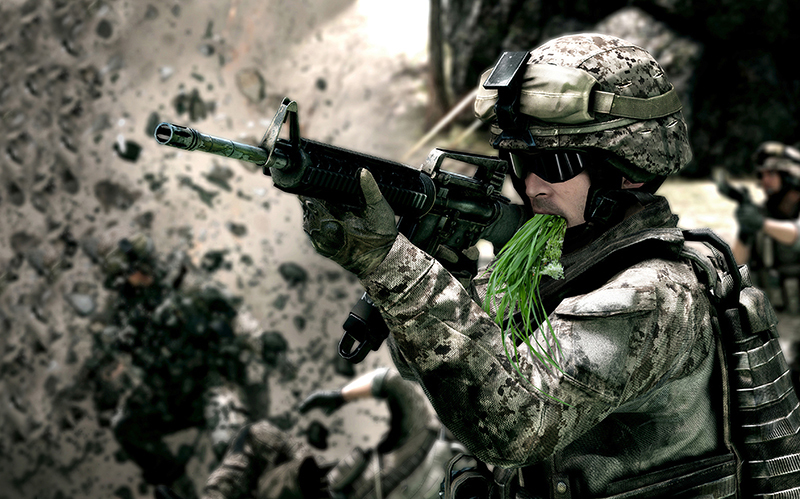 Such cellulose disintegrating enzymes would give soldiers the chance to obtain nutrients from any available plants and timber, or else, in circumstances of urban warfare, from paper. 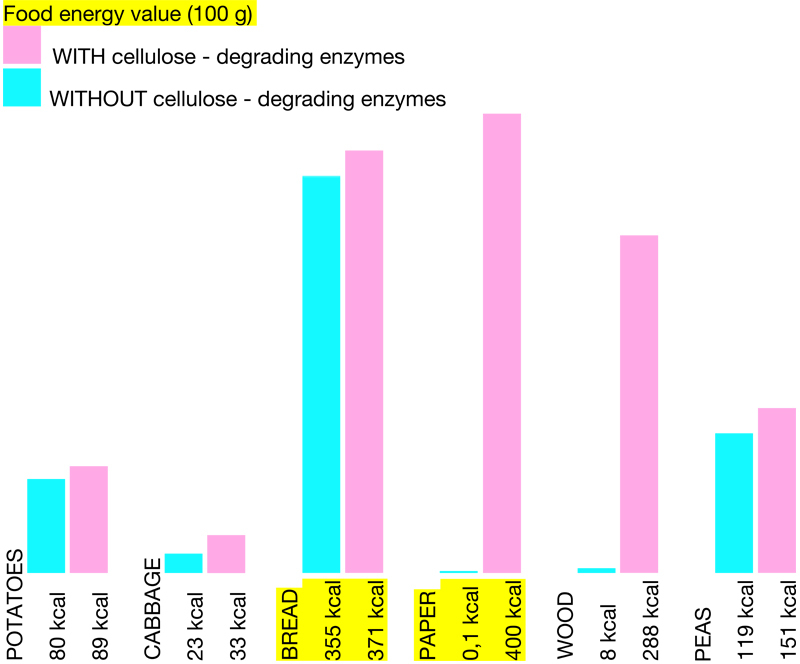 For example, it if proves possible to create a full cellulose disintegration process, 11% more kilocalories can be obtained from 100 g of paper (which contains cellulose) than from 100 g of bread (400 and 355 kcal respectively). We have already created the first bacteria of this type. Outside the human body (G.G. 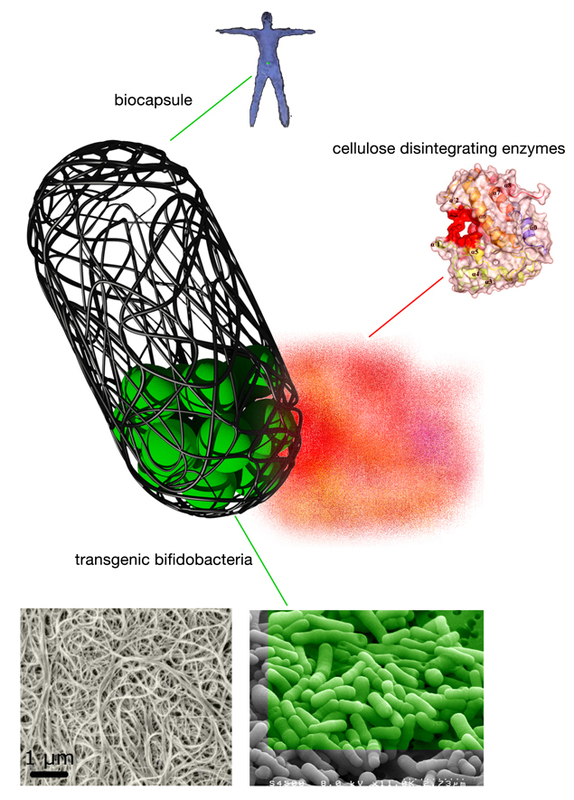 ), bifidobacteria from its ingestion systems were genetically modified, giving them the ability to synthesis cellulose disintegrating enzymes. 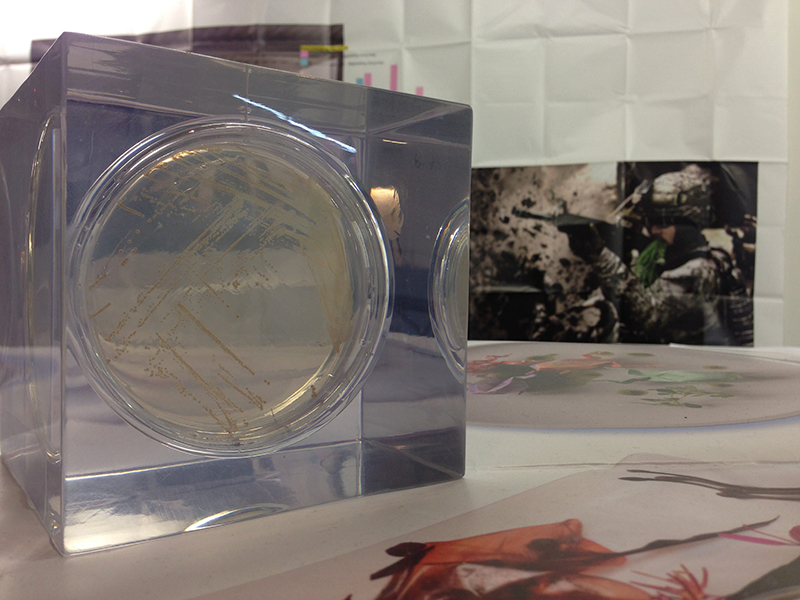 This was done, in collaboration with the microbiologist Jānis Liepiņš and the company GenScript (www.genscript.com). In order to prevent genetically modified bacteria from coming into contact with a soldier's body, it is planned that biocapsules will be used which have developed by Dr. David Loftus Medical Director, NASA Ames Research Center, and which could be custom-adapted for the requirements of this project. Dr. Loftus was created the biocapsules so that transgenic organisms do not come into contact with the organism of an astronaut, and so that their synthesized molecules to protect astronauts from radiation. Biocapsules are made from composite carbon fiber, which is sufficiently dense to hold comparatively large synthetic organisms in the capsule, but also to be permeated by many smaller therapeutic molecules – in the case of our project, cellulose disintegrating enzymes synthesized by transgenic bifidobacteria.